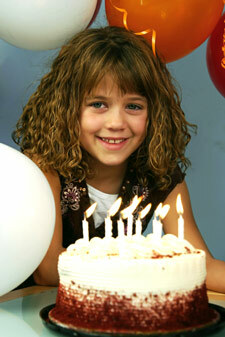 Celebrate your child’s birthday at our studio! The one-and-a-half hour parties are filled with great music, dance and games. Parents are invited to videotape, photograph and participate in any of the fun activities. The last 20 minutes of the party are for snacks, pizza, birthday cake and opening presents. Parents supply the food and drinks, party decorations and all necessary items such as the tablecloth, plates, napkins, etc. Reservations are accepted on a “first come —first served” basis, so book your party as early as possible. The fee is $13 per child with a minimum of ten and a maximum of twenty children. All children must be at least 3 years of age. We are happy to accommodate special party themes!